Mature trees, well-manicured fairways and protective bunkers. These are the components that all great golf courses have and Wynyard Golf Club is no different. Housed in an old school house, the Wynyard Golf Club opened as a 9 hole grass greens course 25 years ago. The club's first President, Tim Thoen, was instrumental in pushing for the conversion from sand to grass greens. Harold Wasylenka, Jeff Fletcher, Bob Frape and others were also part of the group that helped get WGC started into the beautiful course it is today. Funding for the project came from the Town of Wynyard. 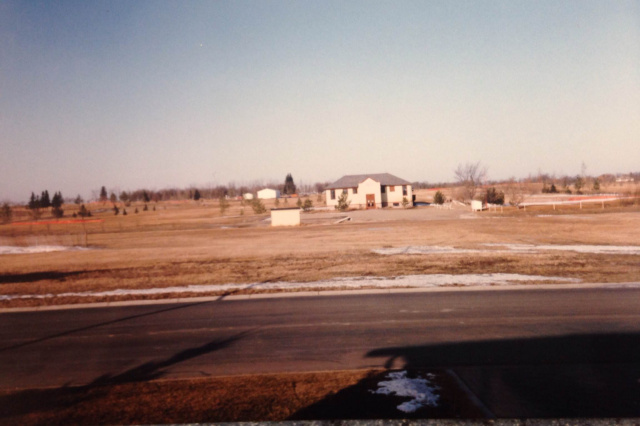 Since its inception as a grass greens golf course, WGC has seen many changes. The sharp increase in members in the 1990s, the development of the water hazard on #5 and 6, the new tee boxes and the obvious maturation of trees are just some of these changes. Hole #6, and the feature water hazard behind the green, is a picturesque hole along the highway. The mature trees that line the tee boxes of hole 4 and 5 create an intimidating tee shot for even the most experienced golfer. The 20 bunkers on the course can be found guarding small but deceptive greens. If you haven't golfed WGC recently, you are truly missing out on one of Saskatchewan's golf gems. Home to some 300 members, the Wynyard Golf Club hosts a Ladies' and Men's Night every week, tournaments throughout the summer and multiple other events. The largest annual event, running for approximately 16 years, is the Ultimate Ace. Wynyard's summer version of Hometown, the Ultimate Ace features 18 par threes with hole-in-one prizes ranging from $5000-$30,000. 160 golfers take to the course throughout the day in a tournament that acts as the largest fundraiser for the course. Wynyard Golf Club can also boast playing host to provincial level tournaments and golfers. The SGA Women's Rosebowl Championship was hosted by WGC in 2011. Golfers that call WGC home won the provincial tournament in 2013 (Wanda Sweatman and Julia King), 2011 and 2010 (Linda Sokul and Cheryl Lawrence). Alana Melsted (Broad) won the SHSAA provincial golf title in 1997 and Wynyard has sent a team to high school provincials many times over the years. Looking to the future, WGC plans to continue with improvements. A move to a new clubhouse in 2018 with the completion of the Sports Complex, the continued improvement of tee boxes and the recent completion of a new bridge on 6 highlight the plans. To celebrate 25 years, the WYnyard Golf Club will be hosting a 25th Anniversary Tournament on July 1st. This will be a 3 ball best ball format, teeing off at 1pm. This is a fun tournament and all are encouraged to join the celebration. For more information contact the clubhouse at (306)554-2154 or check out the website at www.wynyardgolf.com. To stay up-to-date follow us on Twitter (@GolfWynyard) and like us on Facebook (Wynyard Golf Club). 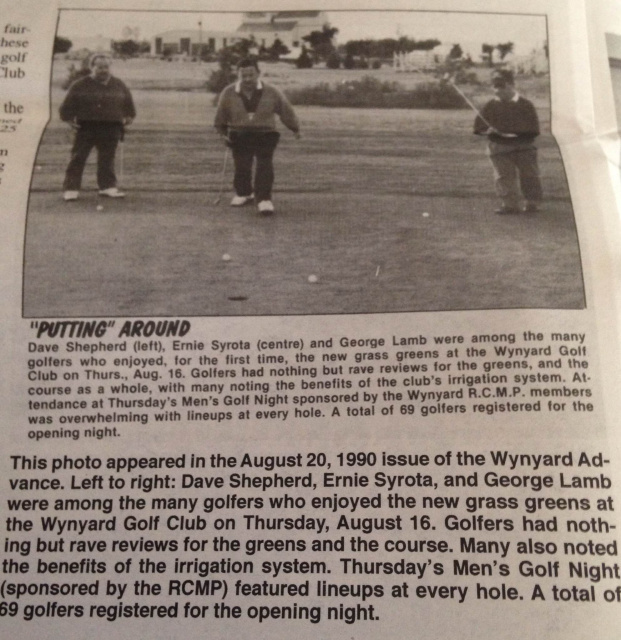 The Wynyard Golf CLub would like to thank all the people who got the course started with grass greens 25 years ago as well as all the people that have kept it going since then including: clubhouse/kitchen managers and staff, grounds managers and crews, board members, town employees, and most of all, our members. Here's to another 25 years!